California has more places to go camping than you could count. The range from minimalist spots on federal land to upscale RV resorts with "glamping" (glamorous camping) that rivals the nicest hotels. I'm not going to give you an unfiltered list of every campground in California. Enough people have done that already and I don't find it particularly helpful. Instead, the campground lists below feature the nicest, most conveniently located, best-rated options for camping in and around some of California's busiest tourist spots. In case you want to camp but don't have an RV (or couldn't fit it into your suitcase), try these options for renting an RV, renting a camper van or renting a tent trailer. Catalina is a gorgeous place, with lots of well-protected open spaces. 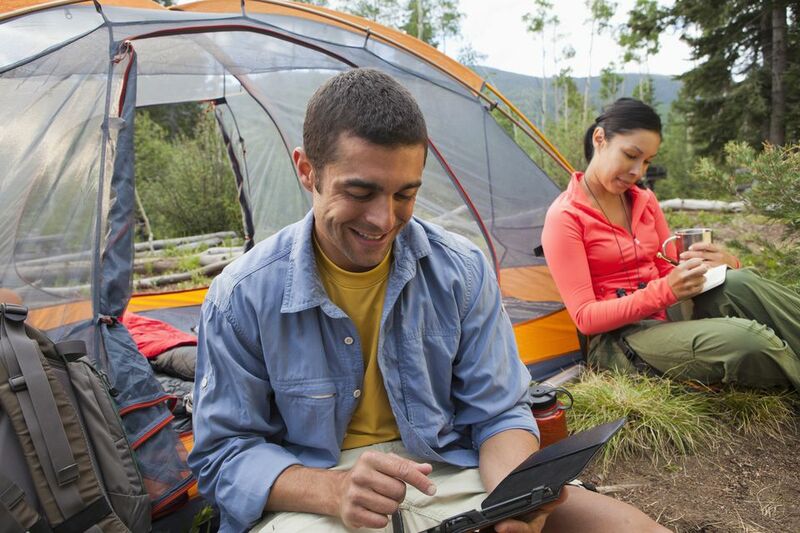 Getting there with your camping gear can be worth it - but it's also a hassle. Find out what you can take on the boat - and what you can't - and get some ideas for ways to enjoy the experience without the drudgery. Two of the most scenic natural areas in northern California are Mount Shasta and nearby Shasta Lake. And lucky you, you can camp there.